The speed of your website is crucial. Speed is crucial and can make you lose 80% of your website. You can take a speed test of your site with Google, and the results will show in about a minute. Google will report on how you can speed up your site. This will include a report on how you can speed up your website, a comparison of your website to the top performers in the industry and an estimate of the time savings assumed. Google is crazy when it comes to your website’s speed because it will show how quick a site will respond to a request. When your website responds slowly, visitors will spend the minimal time on your site. When the site is fast, you will make your user experience better and lower the operational costs. Page Speed this is an open source Firefox add-on that will assist in making you aware of the things you can do to make your site faster. Yslow is another add-on for your Firefox browser, safari, chrome and opera among others that will make analysing your web pages better and why they are slow. There is the Webpagetest which comes in handy when you want to check your site’s speed from locations across the globe. The W3 Total Cache will make your search engine optimization and the user experience to your site better by significantly making your site’s speed better. This plugin will reduce the download time of your site. This plugin will earn you at least ten times speed improvement on your site when it has been configured fully. This works great when it comes to cleaning your site’s database. This plugin will get rid of unnecessary data like trashed comments and pingbacks. This plugin will come a long way in informing you about the database that is wasting your hard disk’s space. 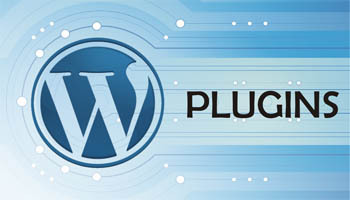 This is a highly recommended WordPress plugin. Images are a huge concern when it comes to slowing your website. Lowering your website’s image size will not only make your search engine ranking better, but it will also save huge amounts of space and bandwidth.